Today in Australia is one of the most special days. Today is ANZAC Day where we remember the fallen soldiers who have fought and died for our country. 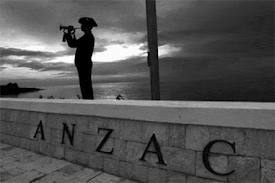 Whilst we also celebrate remembrance day ANZAC Day is special to both Australians and New Zealanders. While ANZAC day is a great day to remember and take time to sit and remember the sacrifices that these men have women have made so we can live our lives I believe we should be remembering them every year as we still have men and women overseas protecting those who need it and dying so others can be free like us. So not just today but every day We Will Remember Them.